Kat Tanita, the blogger behind the great blog With Love from Kat, has a fantastic sense of fashion and an enviable wardrobe. Well, if you were curious to find out if she also had an apartment to match, you’re in the right place! 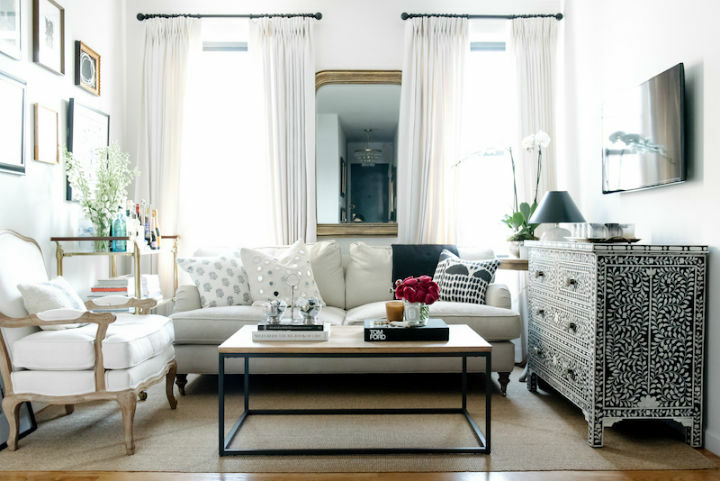 Kat’s apartment is the very embodiment of chic, with a unique style that blends many different themes. 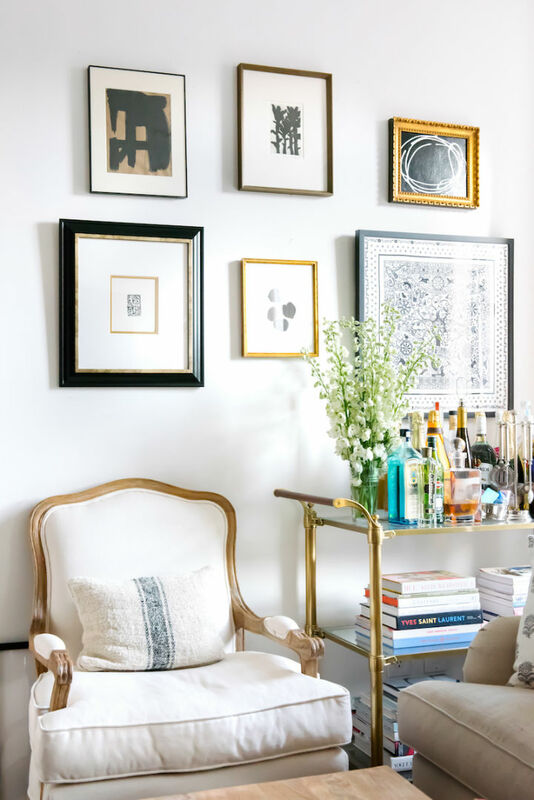 The apartment, located in West Village, looks nothing like its measly 650 square meters and presents a perfect example of what good space utilization can do. Kat moved to New York at the age of 22 after completing her college degree in design and immediately started working for a small jewelry company. She was involved intimately in the running of the company due to the small workforce so she had the opportunity to learn the ins and outs of running a company. After a year and a half, she decided to quit and go off on her own as a blogger and a consultant. The rest, as they say, is history. Kat found the apartment on Craigslist, which I’m sure is a jaw-dropping piece of information for many readers. Who would have thought! However, as things go, she had to put in quite a bit of work to turn it into the masterpiece it is today. The small two-bedroom apartment is mostly furnished in white. Kat started with the larger pieces first, such as the sofa and bed, adding the rest over time. She says that having an apartment where most things are white means more cleaning than usual. She also got a sofa with tan linen so it wouldn’t get dirty too easily. 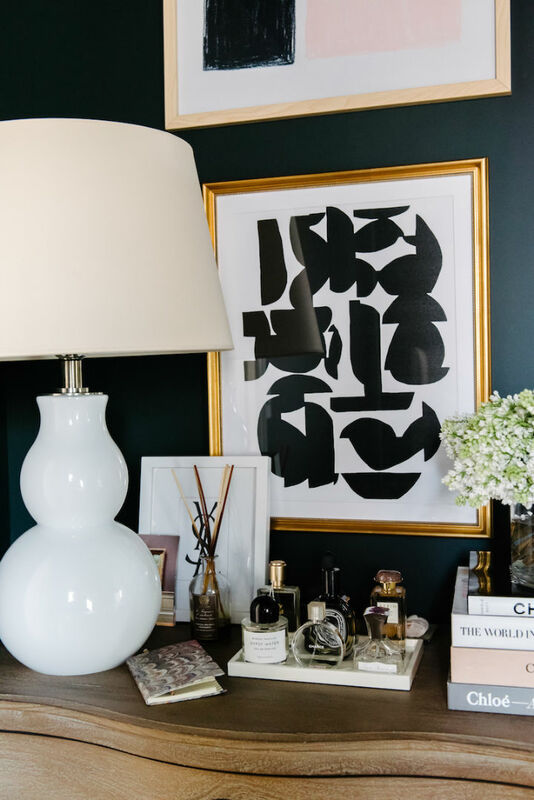 One of the most striking parts of the apartment is the use of black. 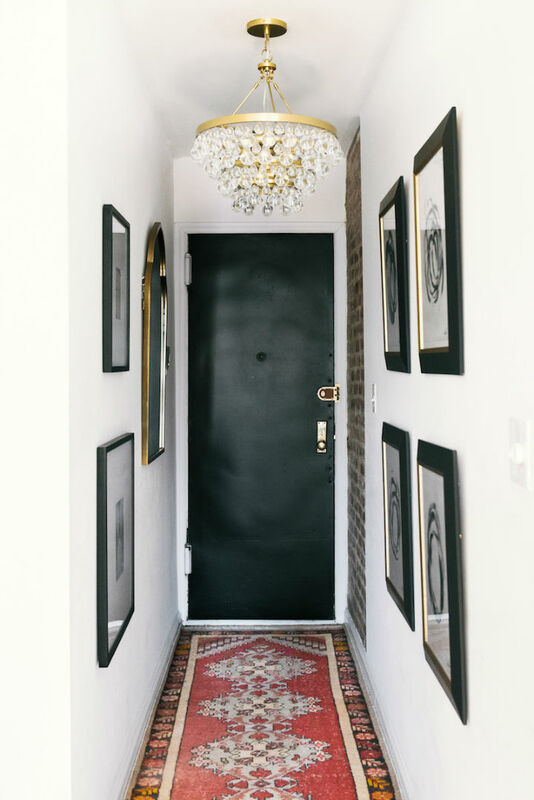 The front door is black, providing a sweet contrast to the white walls of the entrance hallways. A Turkish rug with beautiful prints gives the runner some color and ushers visitors into the house with an air of grace. 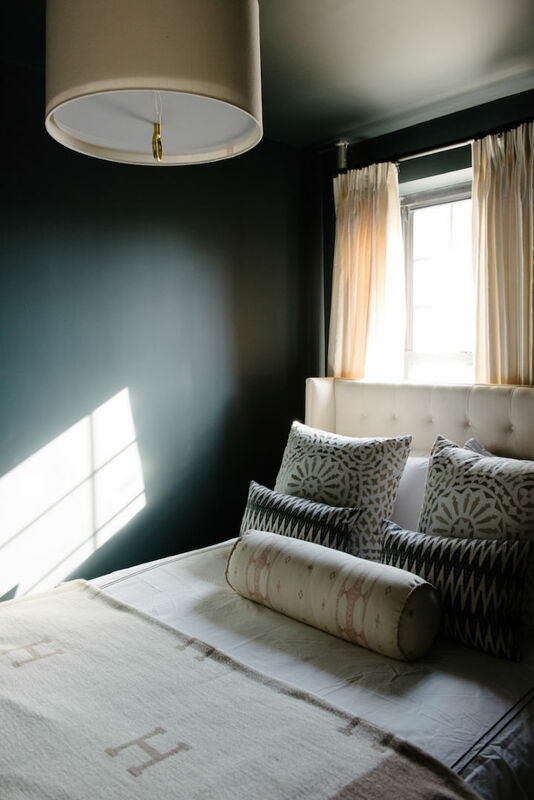 The bedroom walls are also black, lending elegance to the room and elevating it in conjunction with a chandelier on the bedroom ceiling. Kat’s favorite room in the apartment is her home office and with good reason. 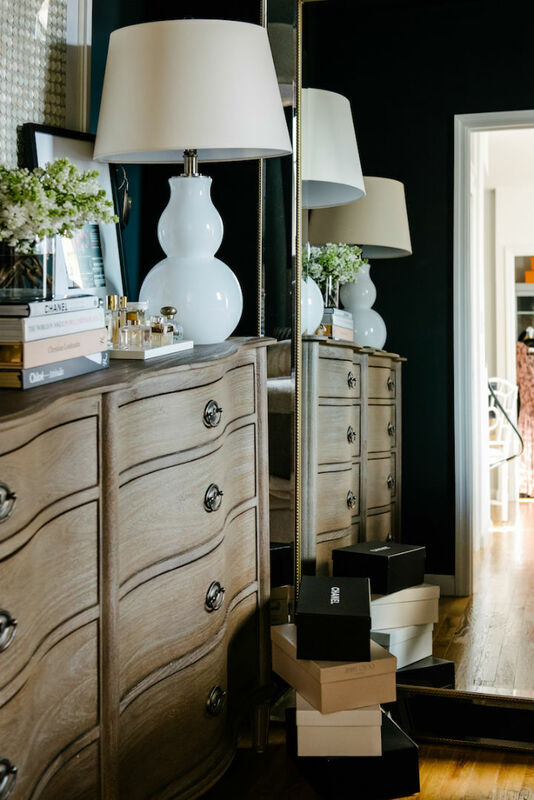 She converted the apartment’s second bedroom into a walk-in closet with an office so she could enjoy the view of West Village through the window. The lighting is very natural, adding a layer of warmth to the setup. The rest of the house is just very clever arrangement and a touch of artistic license. Flowers can always be found in the bedroom to lend it some freshness. The walk-in closet consists of custom-built shelves with a rolling rack ordered off Amazon and a repainted IKEA. The walls are adorned with beautiful artwork to tie everything together. 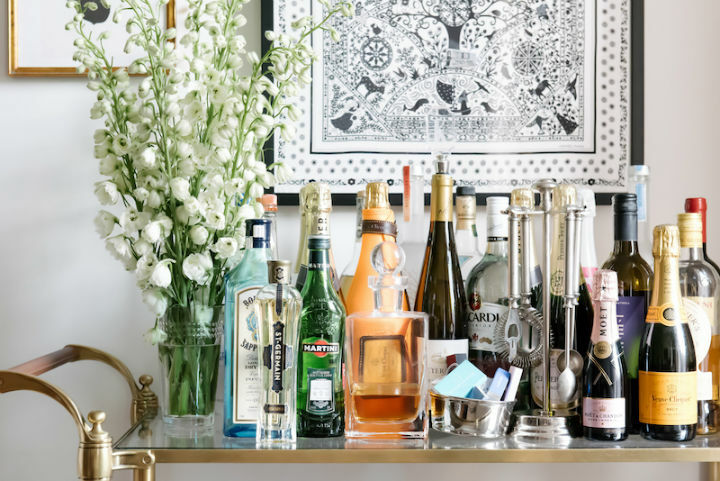 Kat’s home just goes to show that any space can be turned into a masterpiece. 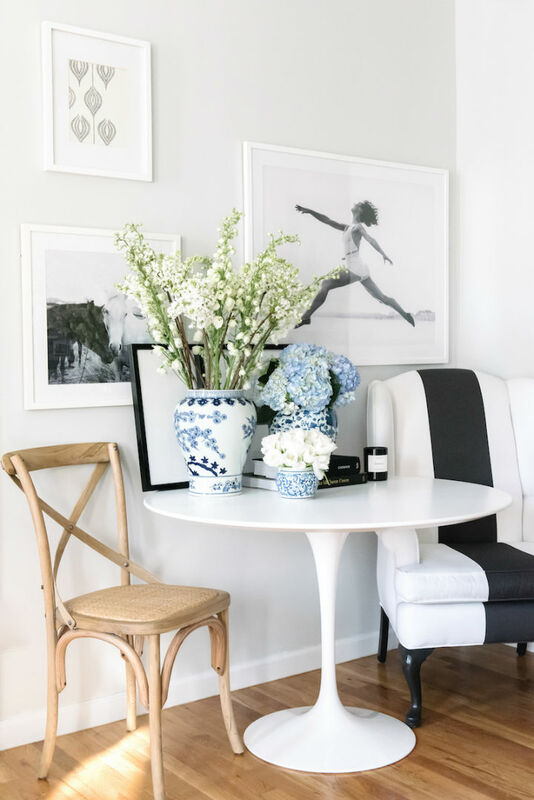 Without breaking the bank, and keeping the design simple but elegant, you too can create your own little work-from-home paradise. What did you think about Kat Tanita’s apartment? 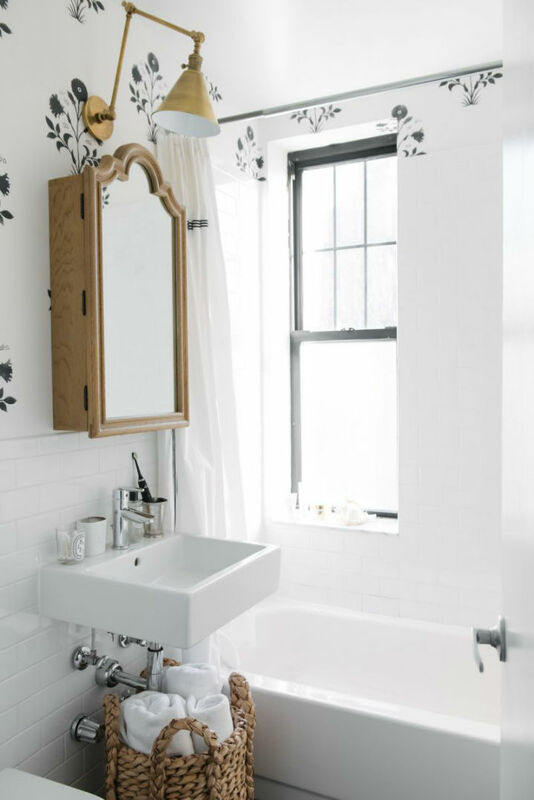 Do you have your own ideas about how to turn a small space into a work of art? Be sure to share your thoughts in the comments!